While Chris Gleason is always glad to hear his middle school band students hit the right musical notes, it’s their curiosity, creativity and joy of learning that make his heart soar as he heads to work each day. 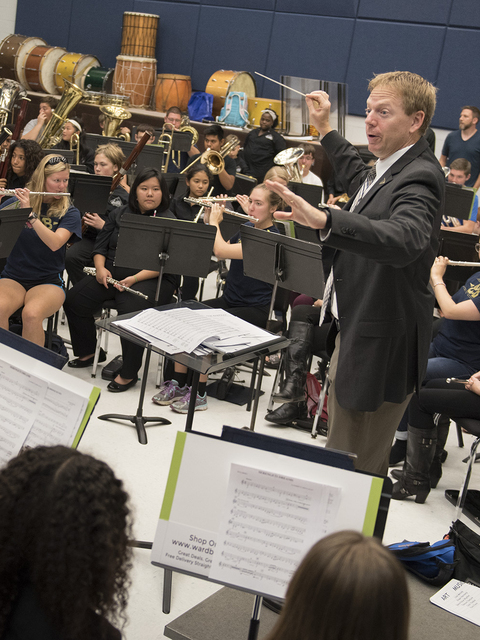 Chris Gleason, a UW-Eau Claire music education grad and Wisconsin's 2016 Teacher of the Year, brought his middle school band students to campus this fall to learn from and play alongside current Blugold students and music faculty. The UW-Eau Claire graduate’s passion for teaching, as well as his talent for nurturing and inspiring his students in ways that help them use their gifts to excel in band and in life, has earned him the 2016 Wisconsin Teacher of the Year honor. As the state’s top teacher, the band director and instrumental music teacher at Patrick Marsh Middle School in Sun Prairie now is in the running for the National Teacher of the Year honor, an award that will be announced early next year. 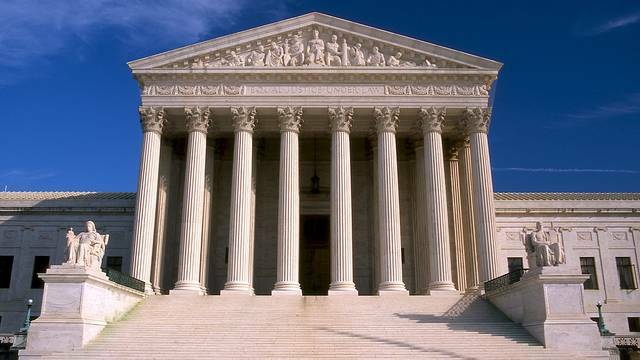 In the spring, he will join the other National Teacher of the Year nominees in Washington, D.C., an event that will include a meeting with the president of the United States. While he credits his parents — accomplished musicians and educators — with instilling in him a passion for music and teaching, Gleason credits UW-Eau Claire with helping him turn that passion into a rewarding career by broadening his perspectives and nurturing his desire to educate young people through music. 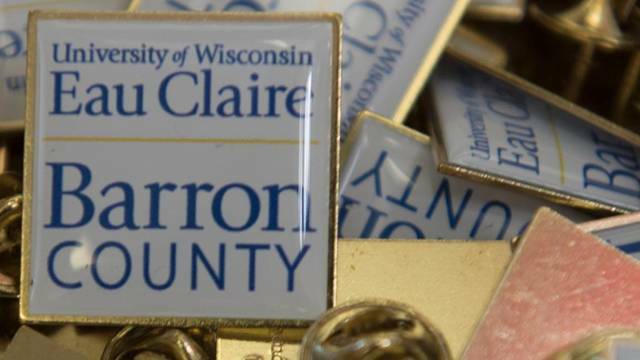 It was at UW-Eau Claire that he met his wife, Erin, who also is a music educator, as well classmates who became lifelong friends. He now is introducing his young band students to UW-Eau Claire and its music program and faculty. For the second year, this fall he and his colleague, Sharon Haraldson (also a UW-Eau Claire music education graduate) brought their seventh-grade band students to campus to participate in side-by-side experiences with current Blugolds who are part of Dr. John Stewart and Dr. Phil Ostrander’s Wind Symphony and Symphonic Band. His fall visit to UW-Eau Claire focused on music, but Gleason hopes to return to campus later this year to encourage talented students to consider a career in teaching. Fortunately for him, music and education always have been a part of his life so he knew from a young age that he wanted to be a teacher. Much of his teaching style is modeled after what he observed during those many hours in his father’s band rooms. Gleason’s mother, who grew up poor and was the first in her family to attend college, also helps shape how he thinks about his teaching, he says, adding that his mother earned a doctorate in education. As he creates opportunities for his middle school students, he works to ensure that any child with an interest in music — regardless of their socioeconomic standing — can fully participate. For example, after establishing his Band Lesson Academy, which pairs students with community musicians, he secured funds through grants and donations to pay for community lessons for families who can’t afford them. He builds civic pride in his students by having them perform outside of the school at community events and in venues ranging from senior care homes to the Capitol Rotunda. A project he started in 2009, ComMission Possible, has student musicians collaborating with nationally renowned composers to write a commissioned piece of music for his middle school band students. Gleason also is proud of a concert band festival he created in Wisconsin Dells, which already has benefitted more than 20,000 young musicians. The festival, now in its 10th year, involves 54 bands from four states. This year's festival is even more special to him because it will feature a side-by-side experience with members of UW-Eau Claire’s Wind Ensemble and Symphony Band. 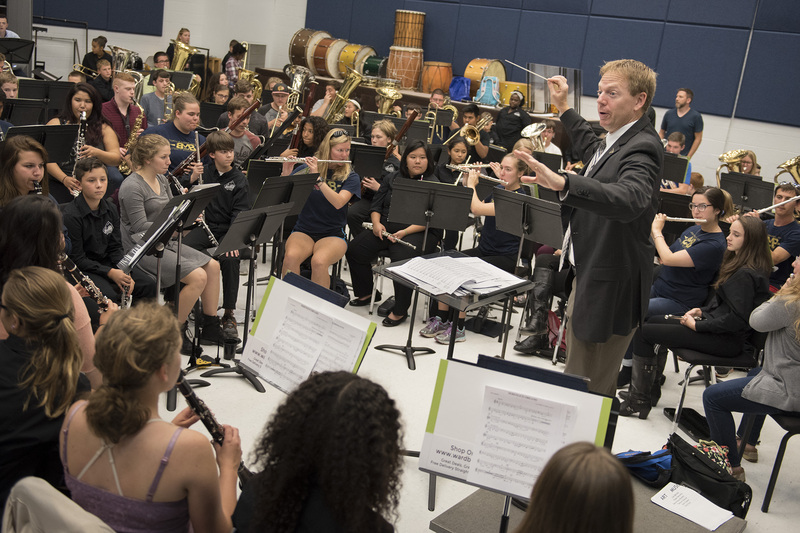 "Not only does the festival benefit middle school musicians, but now it benefits music education majors who will have an opportunity to see and work with bands from across the Midwest,” Gleason says of involving Blugolds in the event. Providing middle school students with these kinds of opportunities helps them build their skills but also gives them the confidence they need to continuously push themselves in and outside of music, Gleason says. 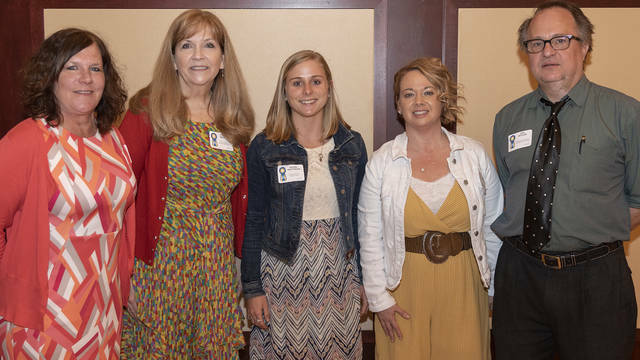 Despite his years of success as an educator, being selected as Wisconsin’s Middle School Teacher of the Year — and then Wisconsin Teacher of the Year — was a complete surprise, Gleason says. He now hopes he can use this Wisconsin Teacher of the Year honor to share his vision for teaching with educators across the state. 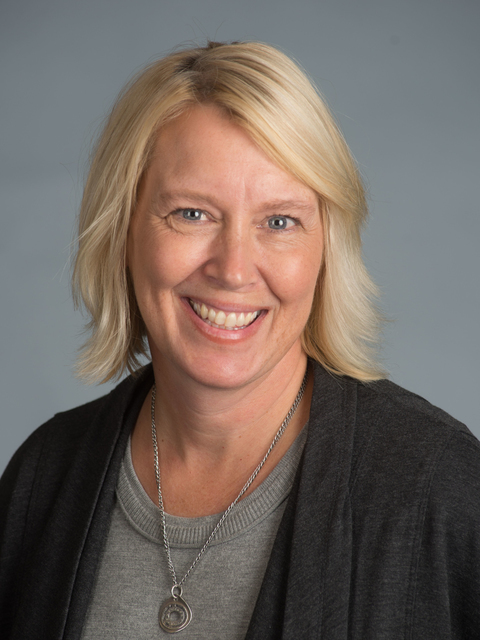 “I want to work with current educators and school districts to talk about teaching the whole child and realizing the importance of creativity, imagination and innovation,” Gleason says.